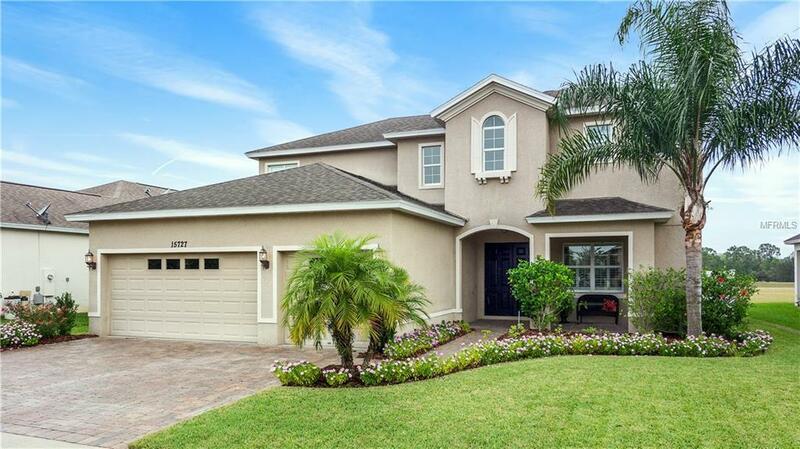 NO REAR NEIGHBORS in this gorgeous 5 bedroom 3 bath home! Immaculate and well loved, this is an amazing floor plan, with plenty of decorator touches. The floor plan is extremely functional, with a welcoming foyer, leading you into the formal living room, one you will actually use, as it has some great views through to the rear porch and green space behind the home. The formal dining room is a great size for a large table, and extra furniture, your hutches and buffet will fit nicely! In through to the family room area, you have an amazing space for every day living - stay connected to the rest of the guests or family with the breakfast bar and breakfast nook, all right there with the oversized kitchen! Tons of cabinets and counters, upgraded stainless steel appliances, granite counter tops! Downstairs is also the 5th bedroom and 3rd bathroom, perfect for in-law set up, or extended guests. Upstairs there is a fantastic loft space for extra tv area, sitting room, or office space! The master suite has a great tray ceiling, tons of closet space (even a separate walk in closet!!). The master bathroom is gorgeous w/all the granite on the dual vanities,plus the garden tub, large separate shower. Sliding glass door out to a open balcony, enjoy those views and breezes! Plantation shutters throughout the home, inside laundry room with laundry tub, fenced rear yard, 3 car garage, screened rear lanai and patio, pretty landscaping and immaculate lawn. Move in ready! See the drone/interior video above main photo!